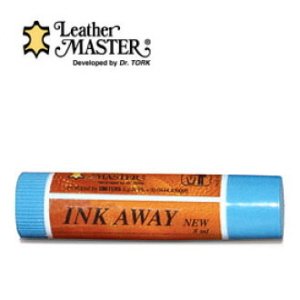 Leather Master Ink Killer Gel is extremely effective in removing old, cured stains for leather, & plastic parts that other cleaners can not remove. 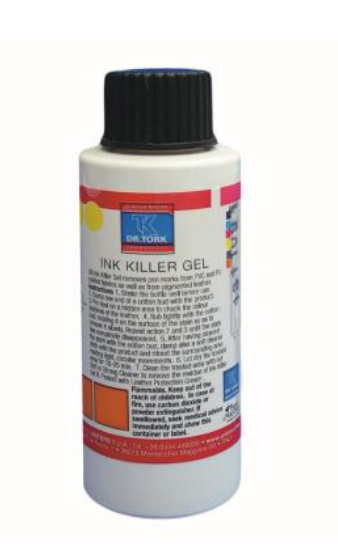 With Ink Killer Gel, you can have plenty of working time since it is slow-drying. 1. To remove old ink stains. 2. 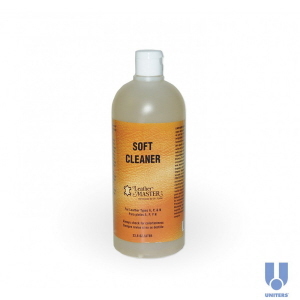 Can also be used to remove or lighten other stubborn stains such as permanent maker. 1. Works effectively on old ink stains that other cleaners can not remove. 2. Gel form allows for targeted application and longer working time. 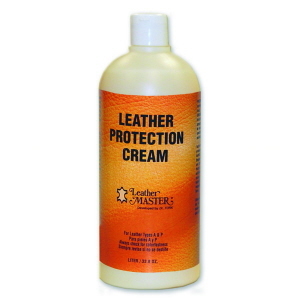 This product is very easy to use, but remember to be gentle. 1. Dampen a cotton bud with Ink Killer Gel. 2. Rub the stain lightly, rotating the cotton bud slow to remove the stain. 3. Repeat until you have removed as much ink as possible. 4. To completely remove all traces of the mark it may be necessary to apply touch up colour. 5. Using Pre-Bottom C prior to applying touch up colour will help prevent any remaining ink from bleeding through. Please note, this is a very strong product, it must be used with caution. 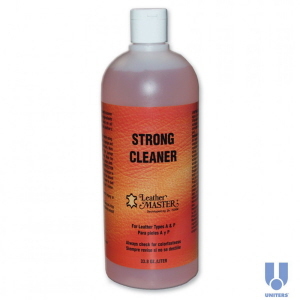 You will need to remove residue with Strong Cleaner. In most cases, you will also need to recolour the affected area after cleaning.